Quantum medicine teaches that disturbances or inbalances on any of the subtle level can often lead to a sickness on the physical level. It is even known in the traditional medicine that chocs or traumatic experiences can be the trigger of diseases or sicknesses. 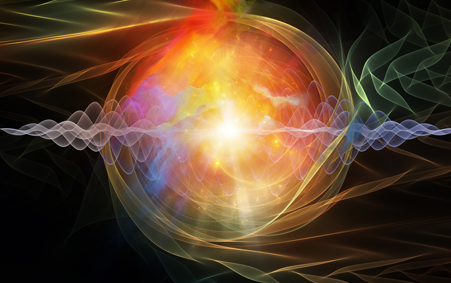 You will find out more about the quantum medicine methods and therapy in our office. We use high-end quantum resonnance/radionic equipment. The quantum measurement requires a blood sample (two drops from a finger, relatively painless) or a hair sample. Usually I take the blood sample used for the dark-field microscopy analysis, however, if no dark-field microscopy analysis took place, it also possible to obtain a quantum measurement of a patient directly from the quantum equipment. My therapie methods and their effects are not yet recognized by traditional medicine nor scientifically proven. They rely solely on the knowledge developped through the practice of natural medicine. The course and succes of the treatment always depends on the individual patient. I cannot promise or guarantee healing or improvment of symptoms of a sickness.